It seems we are never satisfied with our bodies and always on the quest for the next big thing (waist trainers, anyone?) that promises to deliver the ever elusive perfect body. Thanks to social media, we now know it’s possible (yes, possible) for everyday people like us to look perfect. After all, we see all our friends’ social media posts with their perfect bodies always on point. And so we press on, with even greater determination to get the body of our dreams. But are we chasing the wrong body? Or maybe we’re chasing the right one for the wrong reasons. Is there another way to make peace with your body while nourishing and molding it to be as strong and healthy as can be? 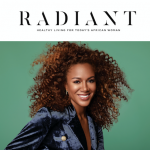 By far the number one question we get from our readers relates to this quest for our dream body so we know this is one topic you’re dying to talk about. Wait no more! 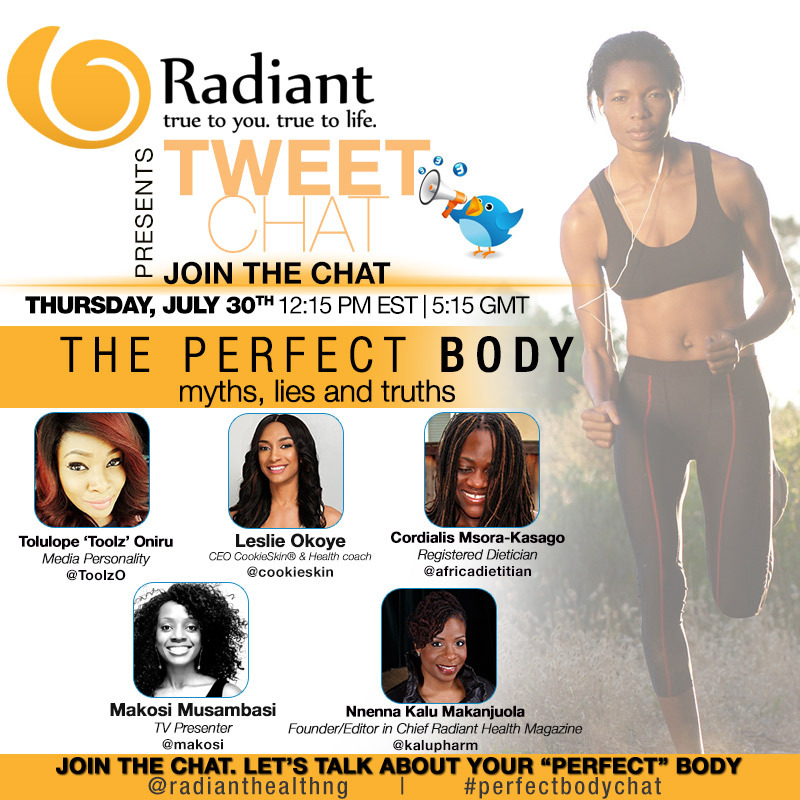 We’re having a live girls chat on the myths, lies and truths of the perfect body this Thursday, July 30th at 5:15pm GMT (Nigeria Time)/12:15pm EST and you are invited! 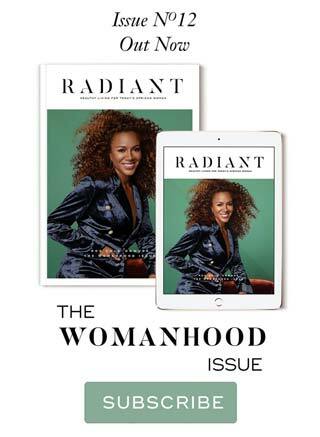 Joining us in this exciting girls chat is an impressive group of African women panelists — Toolz, radio presenter on The Beat 99.9FM; health coach, Leslie Okoye; registered dietician and Radiant Health’s nutrition contributor, Cordialis Msoro-Kasago; TV presenter, Makosi Musambasi; and our very own Radiant Health Magazine founder and editor-in-chief, Nnenna Kalu Makanjuola. We’ve made it easy for you join us. 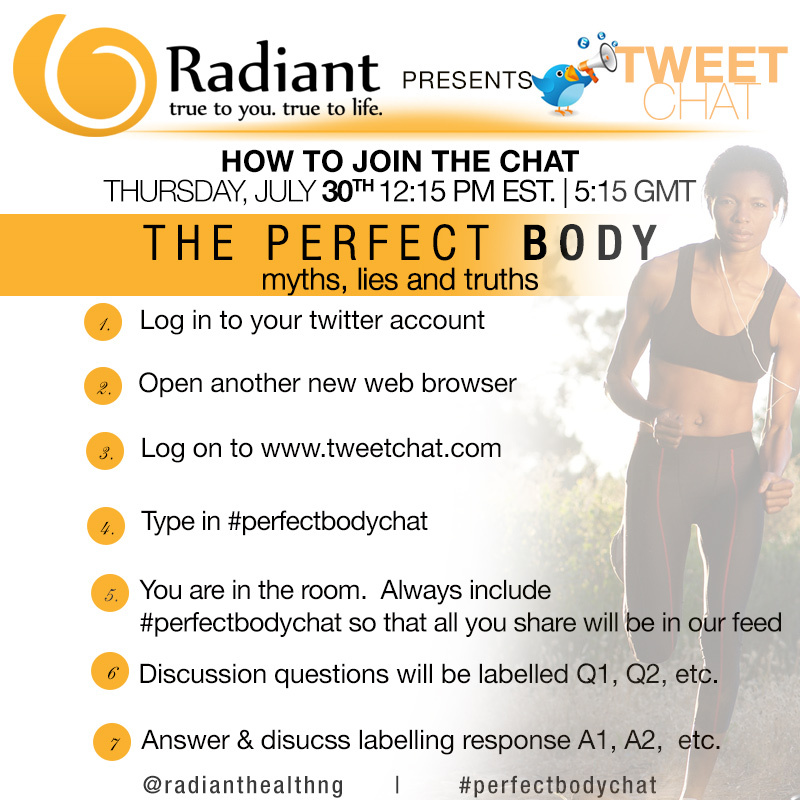 Simply log into your twitter account (of course follow us @RadianthealthNG, if you’re not already), open another web browser and log on to www.tweetchat.com, type in #perfectbodychat and you are in the room! We’ve also included a handy dandy poster for you below, just in case you’re all about the visuals. We’re excited and can’t wait to chat with you live this Thursday, July 30th 5:15pm GMT (Nigeria Time)/12:15pm EST. Save the date because you won’t want to miss it!